It’s another year, a new chance to get things right, and a whole new set of twelve months to look forward to! 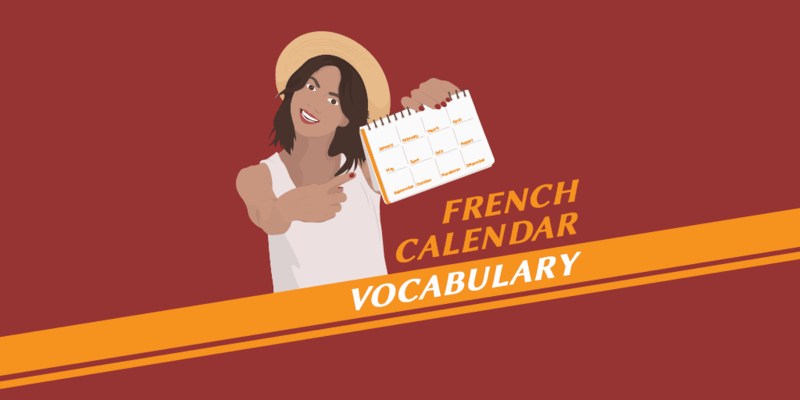 If you’re learning French, you need to know how to say the days and months in French, as well as be able to say the dates. That’s something we’ll remedy in this article. Here let’s talk about the calendar in French or le calendrier. Let’s begin with a single day (un jour). Take note that the French word for afternoon is exactly worded out the same way in English. So après-midi is literally afternoon! Next up, we have the days of the week or les jours de la semaine. If you could notice, the names of the days of the week in French are based on the different god and goddesses. Lundi is named after Luna, the Roman goddess of the moon. Mardi comes from Mars, the Roman god of war. Then there’s mercredi from Mercury, jeudi for Jupiter, and vendredi for Venus. When writing down the French days of the week, the first letters are not capitalized. When talking about something that happens repeatedly on a particular day of the week, use the definite article le before the name of the day. Example: Je vois Alice le dimanche. I see Alice on Sundays. To say what day of the week today is, the French say “we are …..” How does that work, you ask? Example: Aujourd’hui, nous sommes mercredi. Today is Wednesday.This basically means: Today, we are Wednesday. Now let’s talk about the different months and what they’re called in French. Did you notice something? Just like the days of the week, the names of the months in French are also written as all small letters. In French, we do not capitalize the first letter of the name of the month. One important thing you need to know is that the dates in French are said as a cardinal number. Example: It’s the first of December. C’est le 5 (cinq) août. On est le 5 août. Nous sommes le 5 août. All of which mean “It’s August 5”. One exception for this is the first day of the month which is always referred to as le premier, an ordinal number. Learn more about cardinal and ordinal numbers in French in this article! Now we’re down to the years. When talking about a year in French, you either use ‘an’ or ‘année’. With years that end in 0, use ‘an’. C'est l'an 2020. It’s the year 2020. En l'an 1990. In the year 1990. C'est l'an 2000. It’s the year 2000. Take note that if you simply say c’est + year ending in zero such as 2000, people can confuse it with a price or amount of something. With years that end in any other number that is not zero, use ‘année’. C'est l'année 2018. It’s the year 2018/ It’s 2018. Aujourd’hui, nous sommes le 9 janvier 2019. Today is January 9, 2019. Mon anniversaire est le 6 mai 1990. My birthday is May 6, 1990. J'ai un rendez-vous le 31 janvier 2019. I have an appointment on January 31, 2019. 2. True or false: le 12 janvier is July 12. 3. How do you say Wednesday in French? So there you go with the days, months, and year in French. Now you can finally talk about the different dates in the calendar. Want more simple lessons like this? 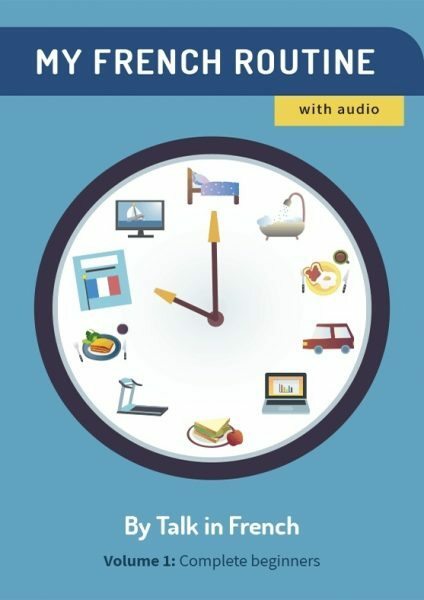 Get your copy of Beginner’s French Grammar in 30 Days. It comes with easy-to-follow lessons, audio, quizzes, and exercises plus a lot more. Check it out below!